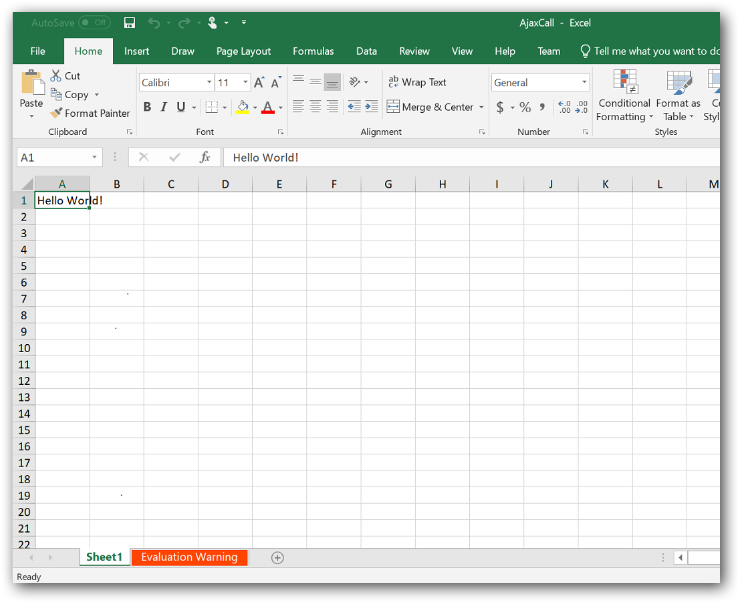 Syncfusion Excel (XlsIO) library is a .NET Excel library used to create, read, and edit Excel documents. Using this library, you can create and download Excel document from AJAX call in ASP.NET MVC. 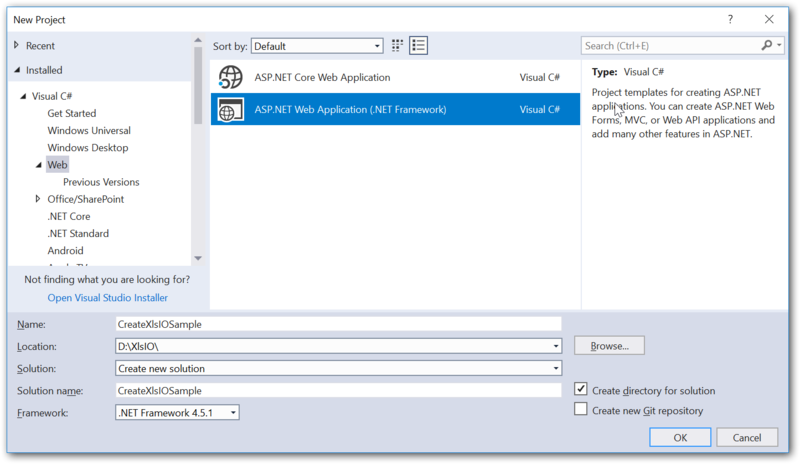 Step 1: Create a new ASP.NET web application project. Step 3: Install the Syncfusion.XlsIO.AspNet.Mvc5 NuGet package as reference to your .NET Framework application from NuGet.org. 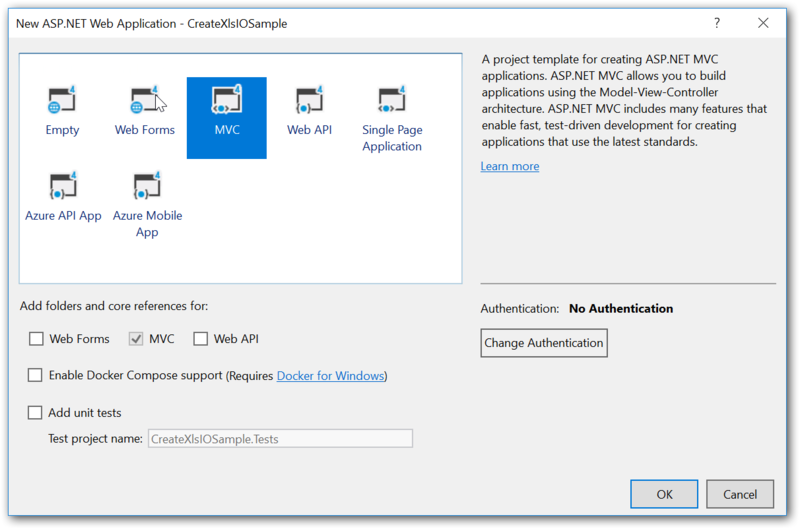 Step 4: A default controller with name HomeController.cs gets added on creation of ASP.NET MVC project. Include the following namespace in that HomeController.cs file. Step 5: A default action method named Index will be present in HomeController.cs. Right click on this action method and select Go To View where you will be directed to its associated view page Index.cshtml. Step 6: Add a new button in the Index.cshtml and add AJAX call as shown below. Step 7: Include the below methods ExportExcel and Download in HomeController.cs to create an Excel file and download it through AJAX call. Dim fileName = "AjaxCall" & ".xlsx"
Dim errorMessage = "you can return the errors here!" A complete working example of how to create an Excel file from AJAX call in ASP.NET MVC can be downloaded from Download Excel from AJAX call.zip. An online sample link to generate` Excel file. How to download Excel from Ajax call in ASP.NET? How to create an Excel file in ASP.NET MVC? How to create an Excel file in ASP.NET Core? How to download the uploaded file in browser? How to generate and display Excel files in thumbnail view?